My inbox is getting fuller than my trousers after a Walking Dead marathon. 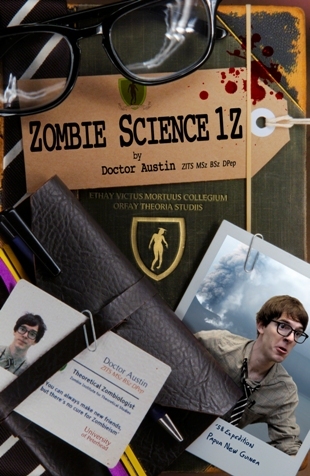 So here’s another ZomBlog answering your zombie science questions. Zombiology students out there will be aware that many natural and manmade factors are blamed for zombie outbreaks in fiction. Whether it’s a genetically modified virus, a minute nanobot, or a chemical found in a fish, Hollywood is always there to distort the scientific truth behind everything, to give us a plausible, or just fresh, reason for zombies taking over the Earth. Regular readers will know my favourite zombie film is George A. Romero’s Night of the Living Dead (in black & white only). I watch it every day, and twice on a Saturday, for a wee treat. Whilst not stated explicitly, it is implied that Radiation is the cause of the zombie outbreak. Radiation is energy that travels across space in the form of waves or high-speed particles. A high enough blast of this energy can ionize atoms. Atoms are found in human cells, so this ionization can cause serious damage to them, potentially resulting in conditions like cancer. The vast majority of background radiation we encounter occurs naturally. Cosmic rays reach us from space, gas is emitted from rocks in the ground … in fact radiation is pretty much everywhere you can think of. We humans are of course working hard every year, building nuclear power stations, nuclear weapons, using X-rays … generally trying our dandiest to add to radiation levels. Sadly, despite our best efforts, man-made sources still only account for 15% of all the radiation we are exposed to. 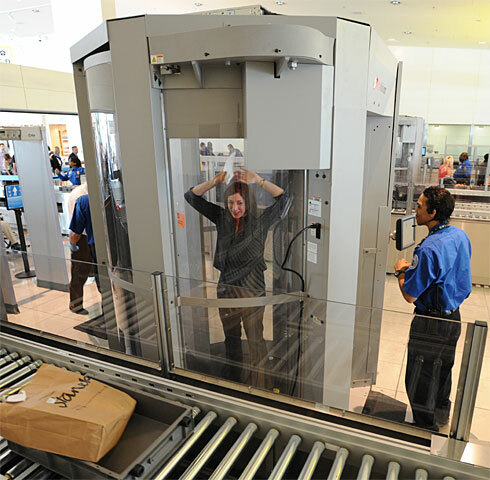 It mainly reaches us through medical X-rays and airport security checks. Now, would you jump up and down for me, for security reasons. Every day thousands of staff work in these environments, and whilst it may look like Heathrow’s Terminal Five is a scene choreographed by Mr Romero, airport staff don’t actually appear to be turning radioactive. Or into zombies. Yet. In situations where much stronger doses of radiation are applied we can begin to get a measure of its effect. America used atomic bombs against the Japanese in World War II. Modified bomber planes dropped two bombs that were the equivalent of 20,000 tonnes of TNT onto the cities of Hiroshima and Nagasaki. The destruction they caused is difficult to imagine. Unless you’re Michael Bay. I can imagine any explosion. Even with one arm tied behind my back, by another explosion. Almost 2,000 feet above the city of Hiroshima, the bomb exploded. What was once a thriving city was now a burning crater. Thousands were killed instantly and thousands more slowly died of radiation sickness. The main causes of death during a nuclear blast are thermal burns, brought about as a result of infrared radiation, and fatal injuries caused by falling structures. Thermal burns are usually only visible on the side of the patient exposed to the blast itself. Patients might also exhibit beta and gamma burns after a radioactive attack. Hollywood's idea of the effect of gamma radiation on humans. No Hollywood. Bad Hollywood. Those who survive the initial blast may go on to develop radiation sickness. Its symptoms include: nausea, vomiting, hair loss, organ failure, weakness and death. The exact selection of symptoms you develop is heavily dependent on what level of radiation dose you have been subjected to. A woman with radiation sickness. Radiation, when used as a weapon, definitely paints the kind of apocalyptic picture we’d expect from a zombie film. The bombings of World War II did create burning wastelands where disfigured people stumbled around confused and uttering painful sounds. Yet this is not quite the scenario we seek in terms of a Zombieism outbreak. Aside from the aesthetic qualities left by the blast, radiation exposure and radiation sickness just don’t provide the symptoms we are searching for. This is not, however, the only way radiation can mess with us humans. What occurred with the Simpsons’ three-eyed fish can also happen to us; we can become mutated. In reality mutation doesn’t occur in quite the same way as it is portrayed in the movies. Also, in real life mutations the effects are slower and much less outwardly noticeable. They are usually heredity, meaning they are passed on to the children of those affected. The primary condition found in abundance after nuclear accidents or attacks is cancer. This field of research is under considerable debate at the time of writing and more about the long-term effects of radiation exposure is bound to develop over the next few years. Ultimately radiation has failed to provide the required symptoms needed for Zombieism. This may be because its effects are often uncoordinated. All areas of the body can be hit in different ways by radiation, whereas we are seeking something with the precision skills to mainly go for the brain. So to answer your question Leigh, I would say Radiation is the least likely factor to result in the creation of zombies. Sorry Mr. Romero. Sir. God? I hope you enjoyed your answer Leigh, and if any of you out there want to know anything about the real science behind zombies, do send your questions in to info@zombiescience.co.uk or post them on our Facebook page (www.facebook.com/zombiescience).